Great ready for some roaring good fun with this wobbly lion. Baby can bat at the roly-poly lion to make him wobble from side to side so his tummy chimes. 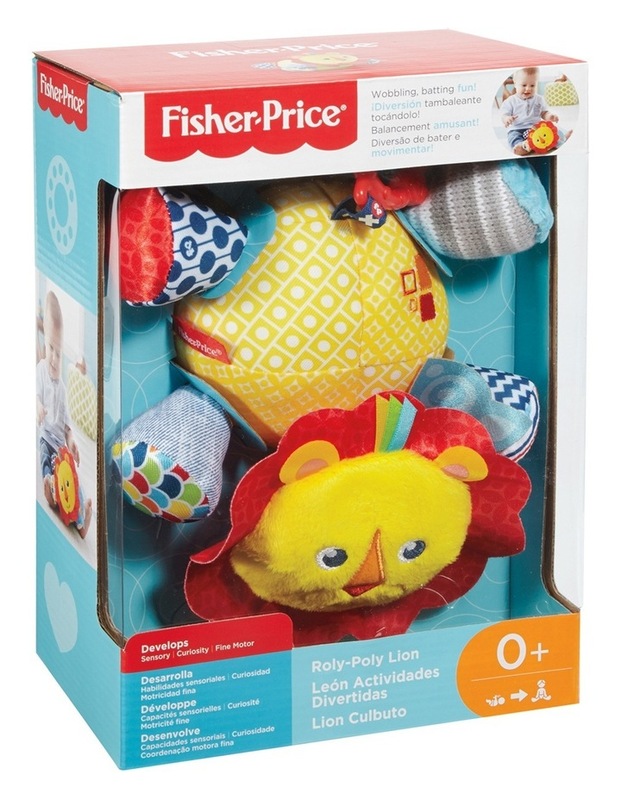 Lion also has colourfully patterned and textured legs which baby will love to explore. 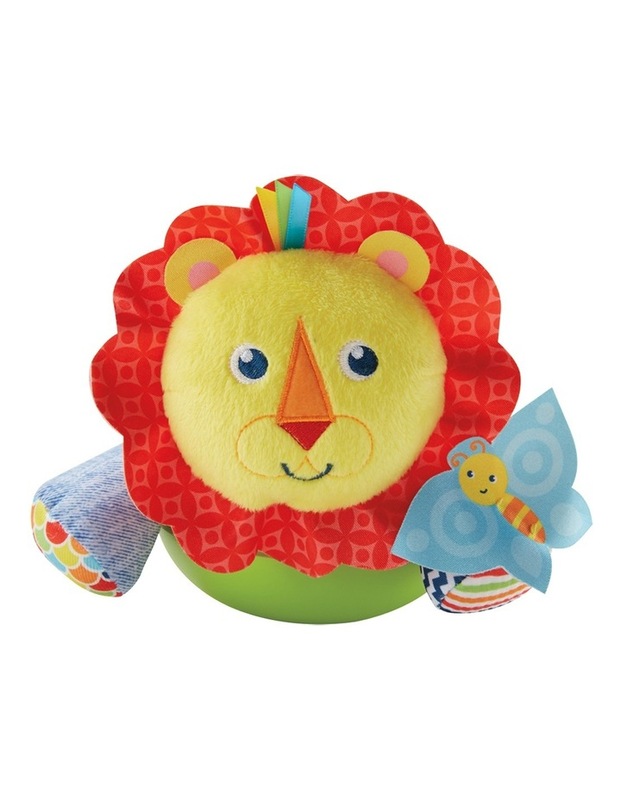 Roly-Poly Lion comes with at attaching link to take anywhere fun as well. Suits ages from birth.